Dog walking definitely looks a lot easier when I see other people and their pets doing it. A klutz by nature, it’s hard enough for me just to untangle the leash, let alone lead a dog safely down a busy city street. I learned by my third walk around the block with Dipper that not only do I have to pay attention to obvious hazards like construction and cars, but I also have to look out for things that could harm him. Here are some hazards Dipper and I have learned about so far. Warmer weather means drinking more fluids, and the most popular summer drink of all is probably beer. Unfortunately for dogs and other soft-pawed creatures, beer is often bottled in glass. Dog owners need to be especially vigilant in looking out for broken glass on sidewalks and even in grass. Areas where people keep their recycling are particularly dangerous, and I’ve noticed that glass shards are easily concealed in patches of grass along tree-lined city streets. Don’t let your dog walk so far ahead that you can’t see the glass until its in her paw. Cataracts in humans can be caused and exacerbated by extensive exposure to sunlight and UV rays. Some veterinarians are beginning to believe that the same is also true for dogs. Avoid walks during peak sunlight hours, or try sticking to shaded paths. This will also help protect your dog from walking over too-hot pavement. Concrete sidewalks will hold heat even after the temperature outside has cooled down, and the black asphalt covering roads at intersections can be particularly hot, and sometimes even sticky. 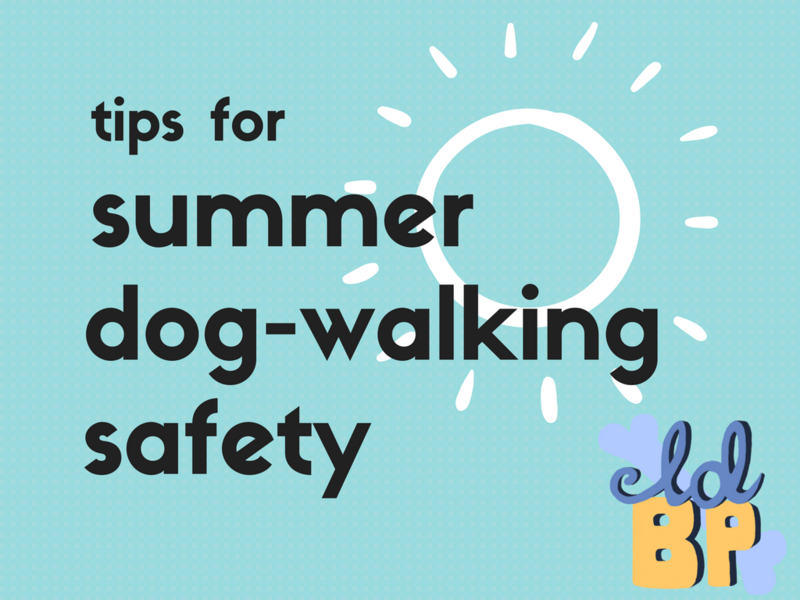 Unless your dog’s got a fashionable pair of booties (which may help with those beer bottles, too), he probably can’t handle searing hot summer sidewalks. We’ve all heard horror stories about grates, storm drains, and manholes collapsing under the weight of an unwitting passerby, but you don’t need a cave-in for these hazards to injure your dog. Little paws can easily slip through the spaces of metal grates, and metal lidded manholes can be much hotter than the surrounding pavement. It’s easy for even the most careful of owners to accidentally walk their dog over one of these hazards. I once led Dipper over a grate while making room for another dog walker. He was fine, but it definitely knocked his self-confidence down a peg. Children and dogs have a lot in common in terms of their unpredictable nature. 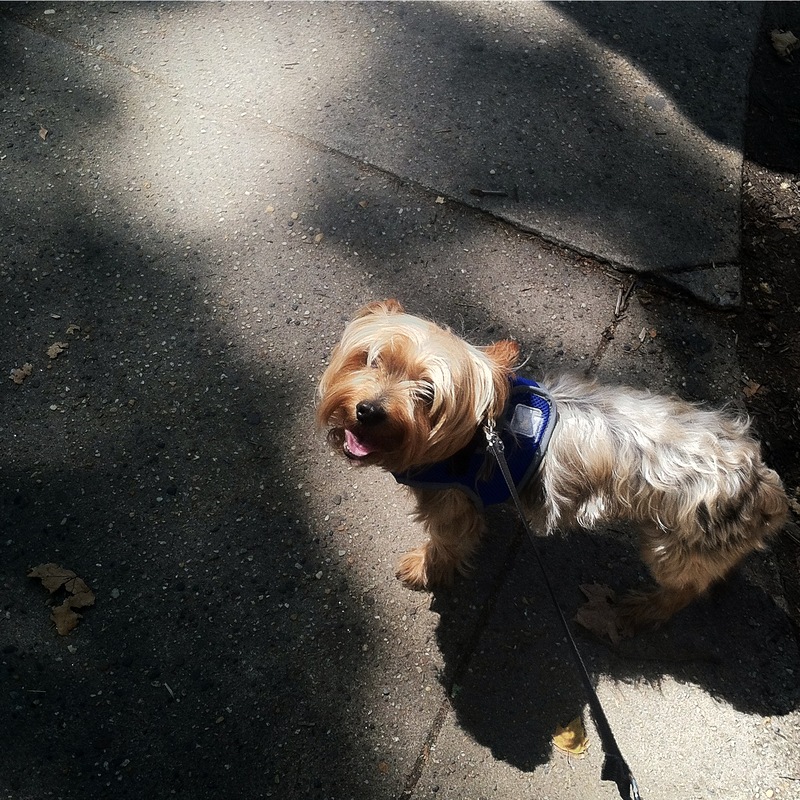 A child once ran up to Dipper and threw a handful of mulch at him on our walk. Thankfully, he’s tolerant of children, but not all dogs are. Even the most child-friendly animal can be spooked by a handful of mulch to the face. And with school out for summer, there are simply more children. Everywhere. Like manholes and broken glass, you can’t stop children from existing, but you can take preventative measures to avoid or handle them on your walks. You know your dog better than anyone, so if you know her to be wary of children, try going for walks not only in areas with less of them, but also at times they’re less likely to be out, such as early morning or evening.